Home / beach hut / hair and scalp sunblock / hypoallergenic sunblock / lotion / palawan / puerto princesa / spray / summer / sunblock / sunblock for kids / tanning spray / Summer Time is Beach Hut Time! Summer Time is Beach Hut Time! Scorching hot sun is here, and as it burns the month of March, it only means one thing... SUMMER! As the traveler in us kick in for this fun and exciting season, one must-visit place that we have on our list is the beach! What is summer without beach, right? But before hitting those white-sand beaches, let me share to you this summer-y treats from Beach Hut! I'm so excited with this year's summer season. My first stop would be the world-renowned city of Puerto Princesa in Palawan. It's been a dream destination of mine, and I'm so glad that I'll be visiting this place with my superfriends. But before hitting the beach down there, other than trimming what seemed to be "untrimmable" body fats, one thing that I should keep in mind is to have a sunblock with me. You see, I do not have that fair, clear skin, and though I'm a little dark, I'm proud of it because it's the true color of Filipino. But of course, sun nowadays is a little harsh, so it is better to have a reliable sunblock that will help me keep away from the harmful effecst of the sun. Thank goodness, there's Beach Hut that offers a wide range of sunblock for every fun and adventurous Pinoy out there like me! I love staying all day under the sun, and since I love beach so much, I know that Beach Hut Max 75 SPF is just the one that I need. Having a clear spray sunblock is perfect for those on-the-go trips, so I'm sure that I will love it as well as my super friends. But for those who still want the lotion kind, Beach Hut has this Max 100 SPF. This recommended by Cosmopolitan Magazine, so for those "kikays" out there, this one is for you. This unbelievable light lotion sunblock is packed with micronized zinc oxide technology, perfect for those skin that needs nothing but the best. And if ever you have kids with you on your great summer adventures, their skin is more sensitive, so make sure that you'll a hypo-allergenic Beach Hut SPF65. With its uber mild effect on kids, I'm sure that they'll enjoy summer as much as you do! It comes in clear spray too, so it is easy to apply. 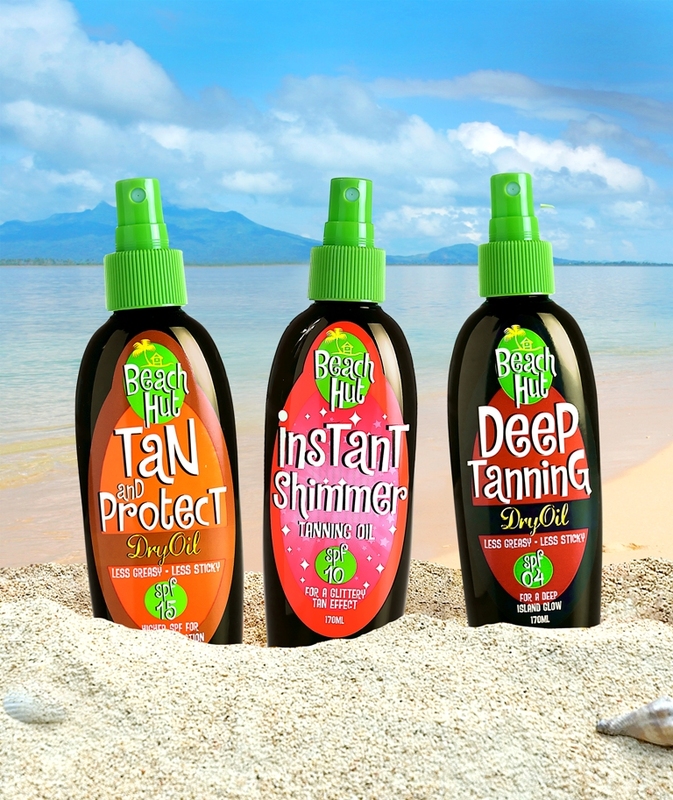 And for vain people, or people who really want a head-to-toe protection, Beach Hut has this Hair and Scalp Sunblock too! It is my first time to get a-hold of this kind, and though I'm kinda pessimistic to its effect on my hair and scalp, I'm still excited to use it and see its effect. This is alcohol-free, so I believe this is good for kids too. 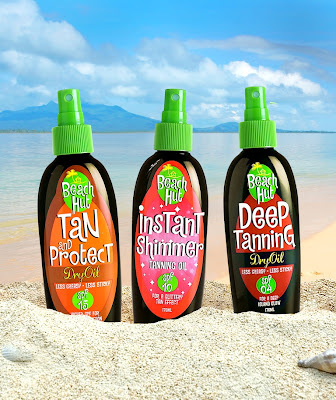 And for those who want a color as mine - "TAN" - Beach Hut has this tanning and shimmering products too. And since I'm already dark, I honestly don't need this. But that Instant Shimmer kinda intrigues me, really. It is making me think that when I place it on my skin, I'll be like a dark Edward Cullen of some sort - a vampire shimmering under the sun. Haha! But for now, I'm glad that I have those four items. It makes me wanna go to the beach right away! I wanna see Palawan, like now na! Hehe.